Martha Henson is a science communicator who explores the use of technology and games in science, public engagement and learning. She is now venturing into the freelance world after working at the Wellcome Trust; here she shares some of her experiences in games and science communication. In August 2010, an unusual paper was published in Nature. It was on the subject of protein structure prediction, an important area of science that represents, as the authors describe it “a formidable computational challenge”. Rather than use computer power alone, though, this team were testing whether humans were better at solving the problem. Recognising the motivating power of a good game, they built FoldIt, a multiplayer online game in which players collaborate and compete to push and push a protein into the optimum possible shape. Their instincts were right: humans were better at solving the structures, the game was a huge success, and their results were impressive. On the 10th December this year Sebastian Seung, a computational neuroscientist at MIT, announced the official launch of Eyewire. Perhaps inspired by FoldIt, this project also aims to harness the power of the game-playing crowd, in this case to map a retinal neuron and its connections. Clearly some scientists have recognised that games have the potential to be a powerful force for good in their research. Until I left to go freelance just a few weeks ago, I was the Multimedia Producer at the Wellcome Trust. The Trust also recognises the potential of games, and has recently been working to encourage applications from games makers to its public engagement awards and running projects such as Gamify Your PhD, and Games Jams on a scientific theme in conjunction with ExPlay. Together with my colleague, Danny Birchall, we were also commissioning our own games for Wellcome Collection. Our first big success was with High Tea, a game about the history of the Opium Wars which was inspired by our High Society exhibition on drugs. The game reached millions of players, and produced some very interesting and encouraging results in terms of learning and engagement (see our extensive evaluation, here). For example, over 50% of players said that they were inspired by the game to go on and do their own research into the subject, and there was extensive discussion of the history and debate around the issues on the games portals, blogs, forums and in all kinds of unexpected places. To create High Tea, we worked with Preloaded, an award-winning game studio, but also collaborated closely with the exhibition curators. This was also our approach for the next game, but this was on a rather different subject. The exhibition this time was Brains, and we brought in a neuroscientist, Richard Wingate for a day of brainstorming (forgive the pun) with us and Preloaded. What we were looking for in particular were rules in the science that we could turn into rules of the game. It was crucial for us that the factual elements (the learning, if you like) were embedded into the gameplay rather than tacked awkwardly onto it. The result was Axon. Within the game, on the “Science” pages, you can see the video that was perhaps the greatest inspiration for the game. It was created by Richard Wingate, and shows neurons developing in a foetal chicken brain. 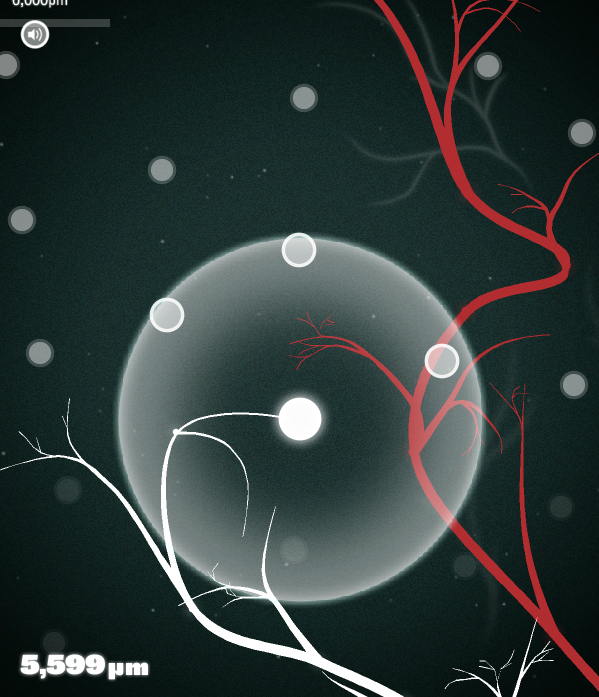 We were struck by the aesthetic, the bright neurons against a dark background, but also by the mechanics. The neurons are growing towards protein targets, and they are essentially competition with each other to form the strongest connections. If they don’t, they will die out. The potential for games with a scientific basis is huge, and largely untapped. All kinds of areas of science would be absolutely ripe for mining for game rules. Maybe chemical bonding, electricity and magnetism, larger systems such as weather patterns or all kinds of cell behaviour. As FoldIt demonstrates, the feel for a subject that games can give you makes it less abstract and easier to understand and this is why many are using games in both formal and informal education. I would urge all science communicators to think about using games as part of their approach. The future of games about science is bright. Vanished (Smithsonian and MIT) collaboration with real scientists, learning scientific techniques, collecting data etc. 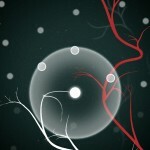 Launchball: A physics game from the Science Museum. If anyone has come across any other interesting scientific games, please feel free to leave comments below. You can follow Martha on Twitter at @marthasadie, and read her blog here.